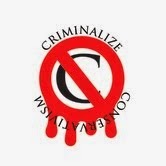 Criminalize Conservatism: The Secret Nixon-Era Blueprint For Fox "News." The Secret Nixon-Era Blueprint For Fox "News." "[Liberal rhetoric] now is so over the top, it's so vicious, it's so mean, it's so cruel, and I don't hear this coming from conservatives about liberals," says Fox News host Sean Hannity, with a straight face. And from another Faux News favorite, "Some may believe we're on the road to the Hitler youth." -- Glenn Beck, on teaching kids about climate change, Fox News's Glenn Beck show, Feb. 5, 2009. "Fox News deceptively edits Al Sharpton’s anti-violence speech to include chant for 'dead cops.'" "The Fox News morning show Fox & Friends edited a video clip of Rev. Al Sharpton to make it seem that demonstrators had chanted calls to kill police officers during his speech on Saturday, even though the two pieces of video were from two different cities. "At that point, Fox News showed a clip from a protest later that evening in Manhattan. "'What do we want? Dead cops! When do we want it? Now!' the protesters reportedly shouted. "Fox News host Anna Kooiman pointed out after the clip aired that she had accidentally gotten stuck in traffic because of the protests in New York City, and never heard calls for violence against police..."
And who else can save Christmas but Fox? ...because that's the reason Fox was started! 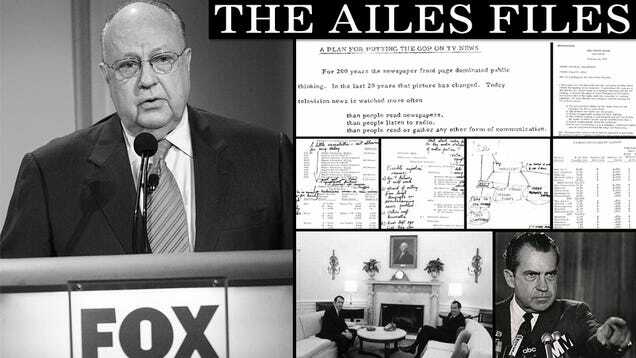 "Roger Ailes' Secret Nixon-Era Blueprint for Fox News." "Republican media strategist Roger Ailes launched Fox News Channel in 1996, ostensibly as a "fair and balanced" counterpoint to what he regarded as the liberal establishment media. But according to a remarkable document buried deep within the Richard Nixon Presidential Library, the intellectual forerunner for Fox News was a nakedly partisan 1970 plot by Ailes and other Nixon aides to circumvent the "prejudices of network news" and deliver 'pro-administration' stories to heartland television viewers. "The documents—drawn mostly from the papers of Nixon chief of staff and felon H.R. Haldeman and Bush chief of staff John Sununu—reveal Ailes to be a tireless television producer and joyful propagandist..."
So combine lies with anger, sprinkle it with fear to enhance the built-in hate of their average viewer, salt it with fake emotion, and you've just written a recipe for the mouthpiece of the Republican Party - Fox News. Fox News lies on the behalf of the GOP - and who are Fox's demographics? Half of Fox News' Viewers Are 68 and Older. In a dictatorship liars like those in Fox News would be elevated to the highest status. In a perfect world these guys would be strung up for sending us into a new American Feudal Age. Fox News Channel host Eric Bolling on July 2011, "forgetting" 9/11.